A foot fracture is a physical and mental inconvenience. Even the smallest of pains or strains on your foot can keep you from moving, stopping you from performing life’s daily activities. It can be even more frustrating when a fracture seems to occur out of the blue. The cause of a foot fracture is sometimes not as apparent as it may seem. This is something that our Jamfeet professionals have come to learn as we work to diagnose and treat all foot issues as successfully as possible. Before making an appointment with a foot and ankle surgeon in Los Angeles, you should consider the different causes of foot fractures to better understand the specific type of pain you may be dealing with. What Exactly is a Foot Fracture? Some patients are uncertain about the difference between a fracture, a sprain, and a break. A fracture is a small crack that occurs in the bone of the ankle or foot. It isn’t too difficult for a fracture to occur since there are so many bones in this area of the body. Physical stress, athletics, or awkward injuries can cause these bones to crack, which would require an appointment with your podiatrist as soon as possible. When this kind of damage occurs, it’s important to get in touch with an ankle surgeon in Los Angeles for the most accurate diagnosis and treatment assessment. These are just a few of the many situations that can cause a foot fracture. It’s also important to recognize the signs and symptoms of a broken or fractured foot so you can schedule a consultation with your podiatrist. If the pain and swelling in the foot do not immediately improve with some at-home care, you may be dealing with something more serious. 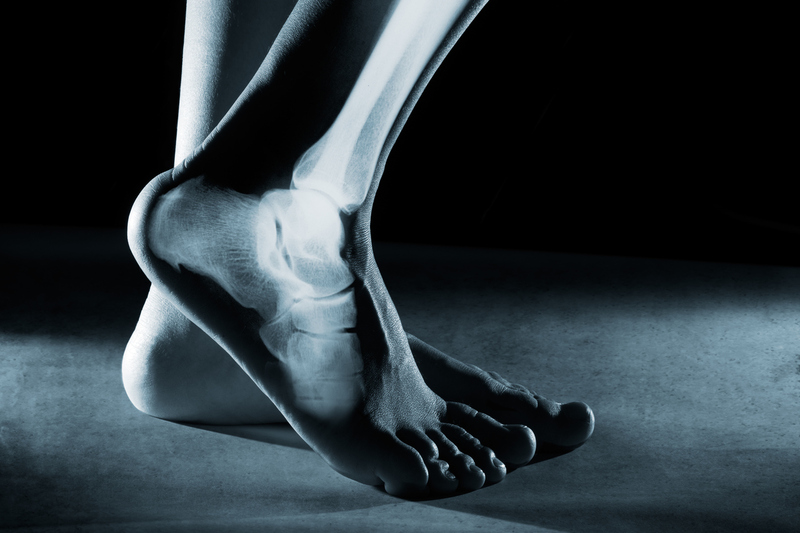 When it’s more than a sprain, it is time to schedule an appointment with an ankle surgeon in Los Angeles. At Jamfeet, we offer foot surgery and treatment by design. This means we take special care to be attentive to your specific needs, finding the best solution that works for your foot. Whether you are dealing with a sprain or an acute fracture, our foot surgeon, Dr. Jamshidinia, can create a successful treatment plan for you. We are available for a consultation at any time. To get started, simply contact us online or call at (310) 579-2080.